We are always on the lookout for great community initiatives that make a difference in the lives of the Palestinian civil society. 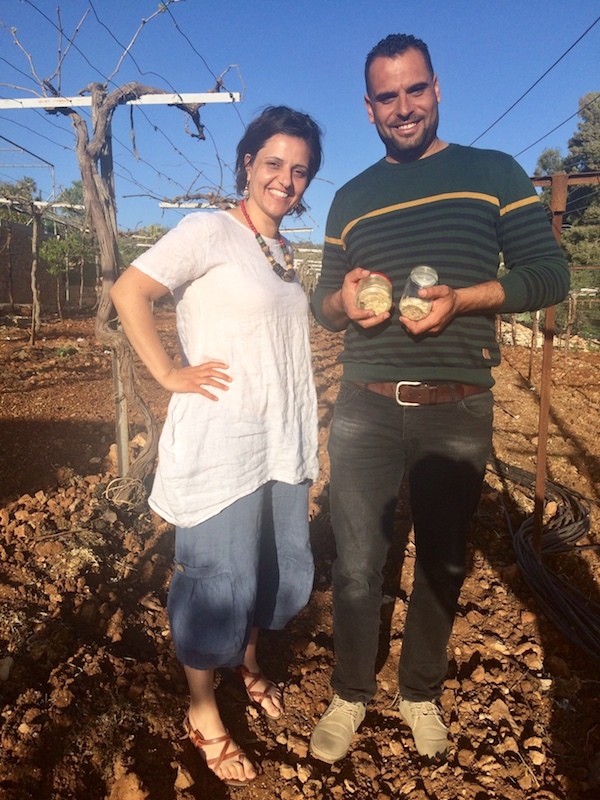 Our journey took us to Vivien Sansour, leader of the Palestine Heirloom Seed Library, one of our pass-through grantees. Rasha from team Dalia held an interview with her to learn more about this initiative. (D.A. : Dalia Association- V.S. : Vivien Sansour). D.A: Can you tell us more about yourself? V.S: I am always learning something new about myself. I learn about myself from understanding that I am not unique --meaning that whatever I am is also the person in front of me. This I learn from plant life. From farmers that I work with who contribute to who I am every day. But I guess in simpler terms I am a person who works with the culture of agriculture: an agri- culturalist of some sort. I was born in Palestine and that has, for sure, shaped a lot of who I am, but I have also allowed myself to be part of other cultures, which have informed a lot of what I do and the way I see things, and have weaved me into a global community which I feel a strong belonging to. D.A: What inspired you to be interested in agriculture and in particular in launching Palestine Heirloom Seeds Library? V.S: The Palestine Heirloom Seed Library sprouted from my desire to reconnect and save whatever is left of our bio-cultural heritage. I lived away from Palestine for many years, and I romanticized a lot of things, including the aromas and flavors of this land, and when I returned and saw that so much of what I loved was either gone or on its way out, I felt I wanted to do something to keep these things that I love alive. I did not know it would become a big project but the fast and vast reach of these simple seeds has overwhelmed me. It turned out we were all missing who we are, and we all found a thread of life in these powerful seeds. D.A: How do you define this project? What is the aim? 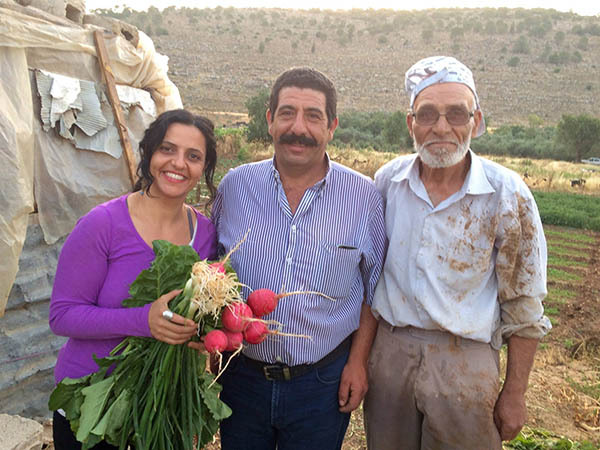 V.S: The Palestine Heirloom Seed Library was founded in 2015 with a vision to preserve heritage seed varieties and traditional farming practices of Palestinian farmers. The Library and associated El Beir Arts and Seeds Studio symbolize this core belief: that agriculture is truly comprised of both "agri" (traditional farming practices) + "culture" (the associated lifestyle/livelihood traditions essential to a community's identity). The Heirloom Seed Library focuses on searching for heirloom varieties to save and propagate. We work to engage farmers in conservation, propagation, and dissemination activities that aim to reintroduce threatened varieties into the local farmers’ markets and back to our kitchen tables. Through different projects including our signature Traveling Kitchen journey, we engage youth, farmers and community members to become active players in the work of seed bio-cultural preservation as cultural practice. Also through cooking heirloom varieties, and engaging the young and the old in a story telling experience that highlights the beauty of our heritage and the importance of our choices when we eat. The work we do is very much based on fieldwork and the knowledge of farmers. Often times, when I first started especially, I would just go to villages and strike a conversation with a shepherd or a farmer, and from there I would meet people, particularly elders, who would mention varieties that are no longer in use, and that is what would inspire a journey to find and propagate them. In recent years, the one seed was the Jadu’ watermelon, which farmers mostly called the dinosaur because it has disappeared. 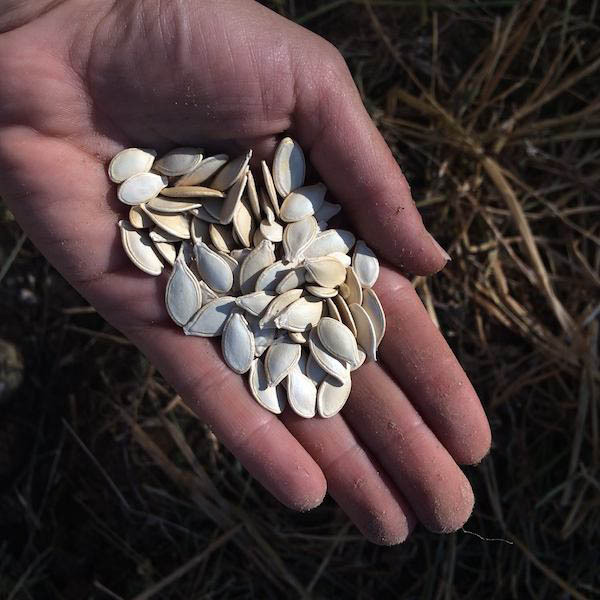 We found these seeds, and are working on bringing them back to the kitchen table everywhere in Palestine. D.A: How do you think aid affected our agricultural heritage? 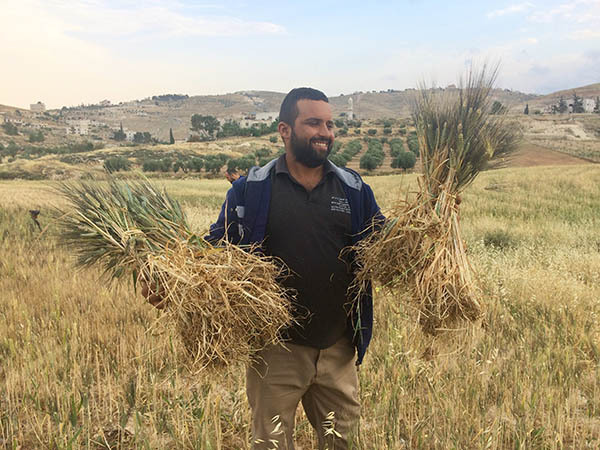 There is a lot of aid that has affected Palestinian agricultural heritage in a way that has in fact made farmers more venerable. In the name of agricultural development, farmers were pushed to adopt new hybrid seed varieties causing them to lose their heirloom ones. As well, they have been pushed into systems of mono-cropping. A farmer that used to produce several varieties in a season is now focusing only one crop, based on the demands of a middleman who buys their products at very low prices. This, among many other things, such as adopting more expensive methods as in green house agriculture, is transforming our agricultural system from a sun and soil based food system, to a chemical dependent system, that is poisoning our bodies, our soil, and of course costing us our bio- cultural diversity. D.A: It is called “seeds library” and not bank, can you please elaborate? V.S: We want it to be an initiative that is dynamic and alive, always co-evolving with nature and with the changes in the climate. We do not want to just keep our seeds in a refrigerator. We want them to be planted and replanted every year, giving them the ability to adapt to our changing climate. Also, the word library reflects a more communal initiative that is hopefully humble, and not requiring a giant operation. Every grandmother has a seed library in her home in a simple old chocolate box. We are not inventing something new- we are inspired by the simple and natural process of every man and woman who ever saved their own seeds. D.A: What are your thoughts on the Dalia Association and community controlled grant making? V.S: Dalia Association was a great resource for us since we are not a registered organization. We are doing the work and it is important to have a body that can receive funds for initiative like ours, so that the community can continue to bring initiatives to life, without carrying the expensive burden of institutional bureaucracies. We are grateful that Dalia Association worked with us as a pass through organization to make the work we are doing this year possible. Exciting events occurred this past couple of months! We held a voting day on 1st of March, at the Orthodox school-Bethany in Al'Eizariyeh as part of the IBDA' program in schools. The students voted for two initiatives: Shuf w Iqra' (Watch and Read), and Ayadi Mubdi'ah (Creative Hands). Ayadi Mubdi'ah received first place, and Shuf w Iqra' received second place. The first initiative will be a bazaar to support locally handmade crafts and homemade food, particularly among women. 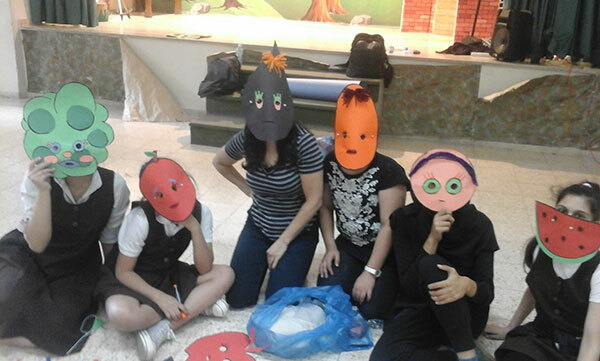 The second initiative is about creating a series of event with children to raise awareness on reading, by acting out the stories to the children, in several places. We also held the voting day at the Ramallah Friends School (FBS), on the 4th of March, where four initiatives were presented. The rankings were as follow: The first place was "KTAB" that will provide educational and non-educational books to promote a reading culture. The second place is "Habitat" a social and agricultural space in the school. The third place is "Qatrat min Biladi" (drops from my country) that will promote the use of natural products such as toothpaste and deodorant. Finally, the fourth place focuses on visual pollution and documenting it through a video to raise awareness on this matter. In April, the students received technical assistance and training support from Dalia’s vast network of experts. Fida’ Ataya, storyteller, and Anas Abu Rahmeh, writer, gave training to the girls of Shuf w Iqra’ to support them in creating their upcoming play. The local filmmakers Yousef Salhi and Sama Anfous Zineh are mentoring the visual pollution initiative. Ashira Ramadan is helping “Qatrat min Biladi” to produce natural products. 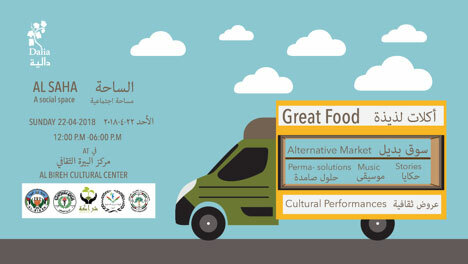 The group Creative Hands organized the planned bazaar on the 28th of April, and it was a success! They invited local producers and crafts artists especially women, by providing a free space for them to sell their products. 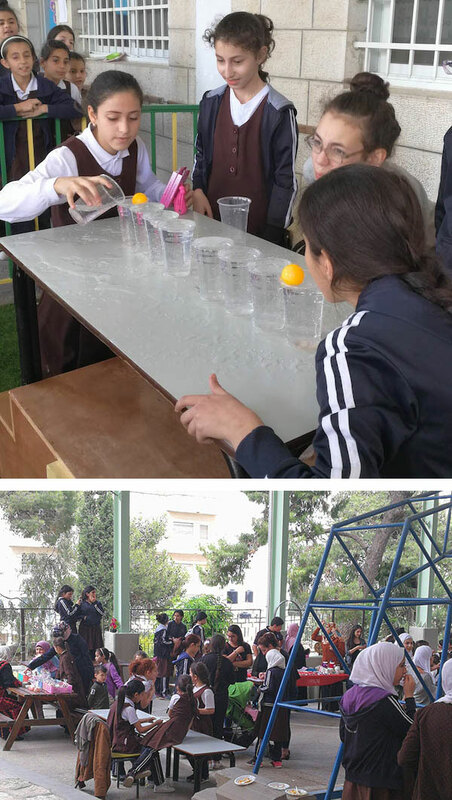 They conducted activities including games that generated income (1181 NIS), and they will donate the raised money to support kindergarten needs in their school. Their classmates from the Shuf and Iqra’ initiative also participated in a theater performance. 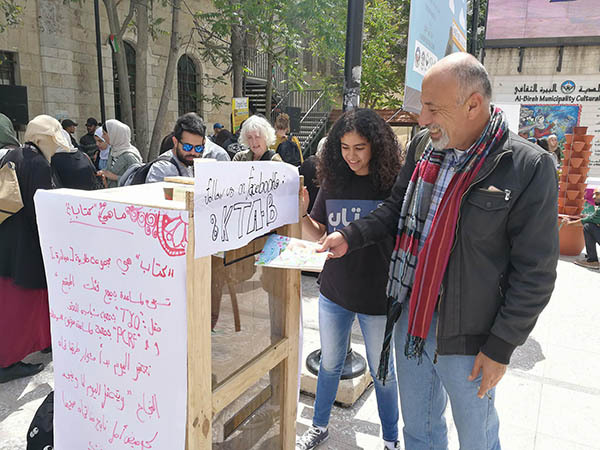 The initiative KTAB prepared a books drop off box with the help of Palletsمشتاح, and they participated in Dalia’s event Al Saha (see below) and received many book donations, among them a book from the famous author Majed Abu Ghosh. The student group Habitat received guidance from the agroecologist Saad Dagher, with preparation of the land that they will turn into a social and agricultural space. We also organized a field trip for the students of both schools. The field trip included a visit to the village of Wadi Fuqeen, where they met the local farmers, and witnessed the continuous land confiscation. Later they had a healthy local lunch cooked by Kawthar in the Azzeh refugee camp, and one of the community members introduced them to the daily life of the refugee camp. 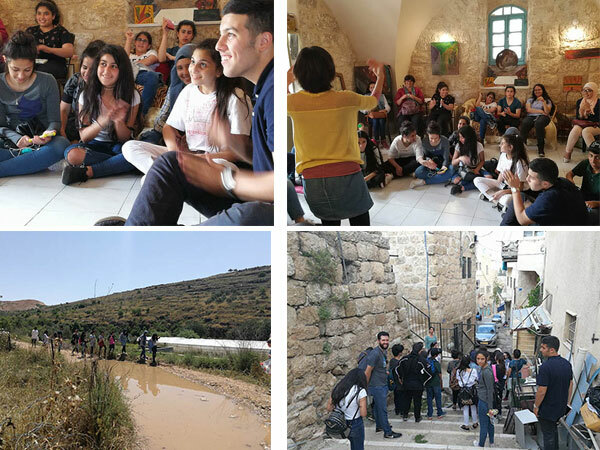 The final stop, included a visit to the old city of Beit Sahour, where they participated in an Art Walk “Mishwart”. On the walk, they visited the Art Salon, and Resign for Recycling and design. 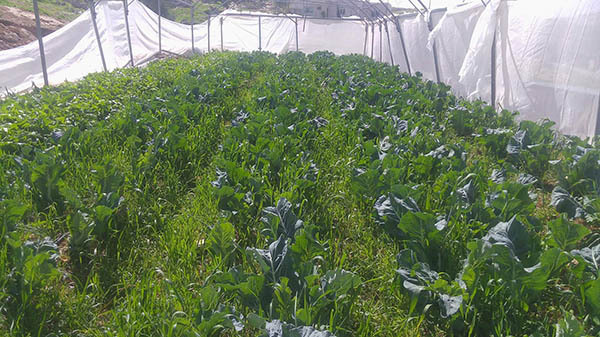 In Tawani, south of Hebron, the women will soon be collecting their planted crops from their initiative to create an agroecology farm to support the local needs for healthy produce to the local community. 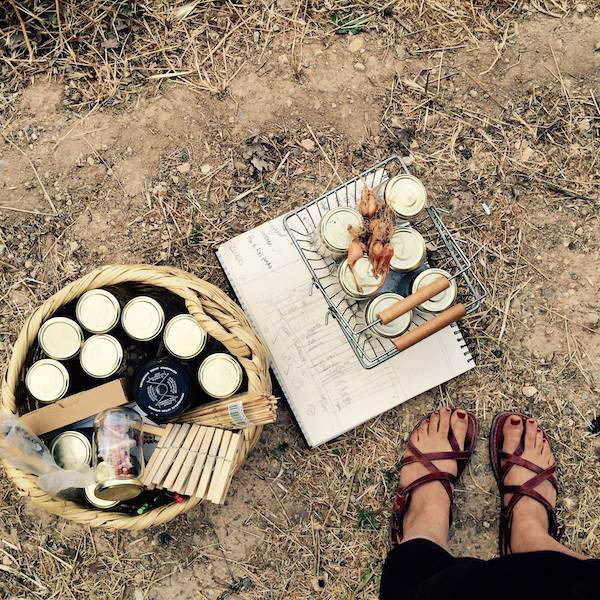 In Susya, the women are producing clothing and home items from the wool they are weaving. We held several meetings with members of the five women funds at Dalia: Tulkarem, Jenin, Ramallah, Jordan Valley, and Salfit. The goal of the meetings were to increase membership for women cooperatives and to introduce Dalia’s vision and our community controlled grant-making programs. 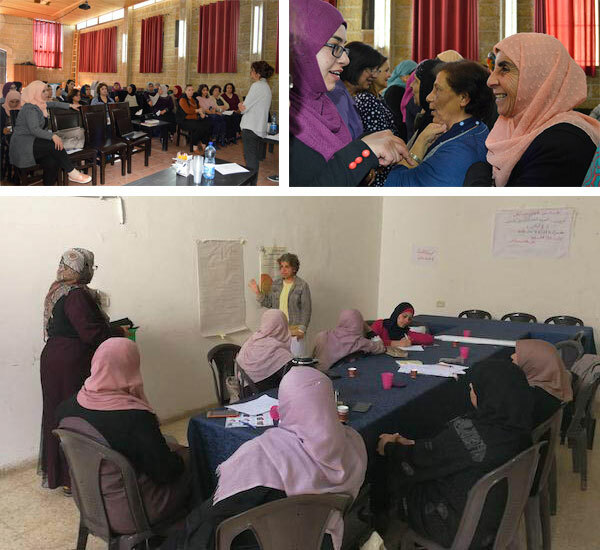 In Jenin, we held the second meeting for the year on the 27th of March, and shared the social lean canvas model as a tool to develop social and community based initiatives. We organized a Mujawara for creating green-spaces on rooftops in Gaza. We planted a rooftop and created a garden in one of the houses in Al Sahte' refugee camp. This Mujawara embodies Dalia’s philosophy of a holistic community development because it includes cultural, social, ecological and economic aspects. In cooperation with Al Bireh Municipality, we organized Al Saha (space in Arabic) on 22 April. This event is an initiative to revive, for a temporary period, the social and community spaces that we are losing in Palestine. Al Saha is technically a sample of what we do at Dalia; the event includes our four dimensions of achieving community development (local economy, ecological, social and cultural). At Dalia, we believe in the importance of supporting the local economy. There was a local market. We also had cultural activities to revive our cultural heritage, such as Dabkeh folkloric dance, traditional music and a reading chain . There was also a local solutions corner, where the owners of Mostadam and Resign for recycling and design showed the attendants and passersby how to build an aquaponics tower, and how to make a rocket stove. The Palestine Museum of Natural History also demonstrated how to make seed balls. 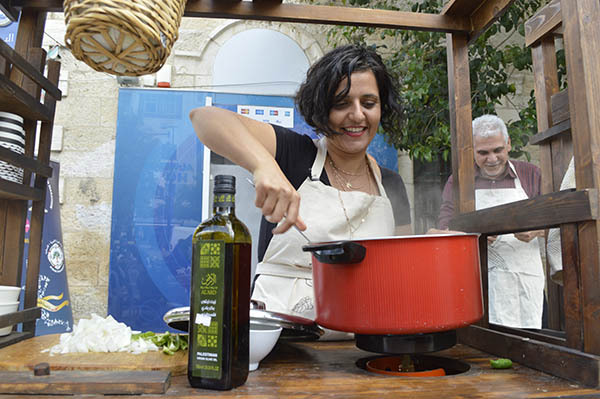 The event also included folkloric tales with Fida’ ‘Ataya, local seasonal meals with different women organizations and mobile and pop up kitchens such as the Surda Women’s association, Vivien Sansour’s Traveling Kitchen, and Izzeldin Bukhari from the Sacred Cuisine. The event was also in partnership with Sharaka, where they raised awareness on supporting local farmers, and reviving traditional agricultural methods, as well as maintaining a good relationship between the producer and the consumer. 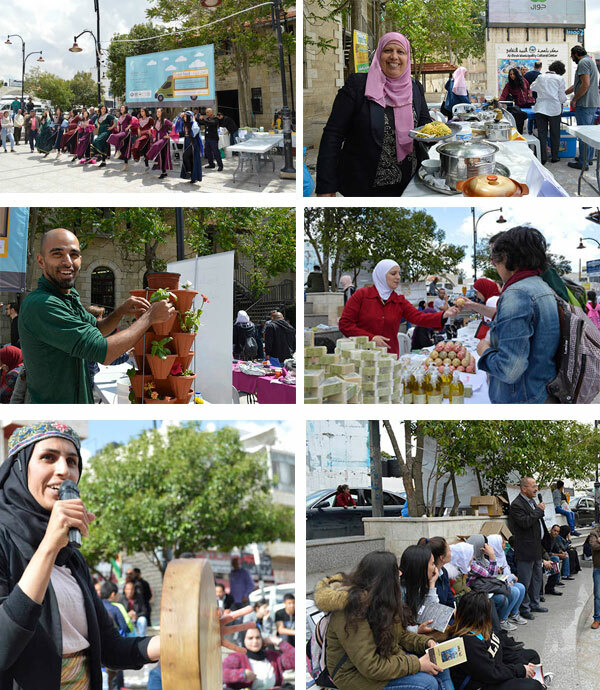 In addition, In'ash Al Usra Association, and Masarat Palestinian Group participated in Al Saha. 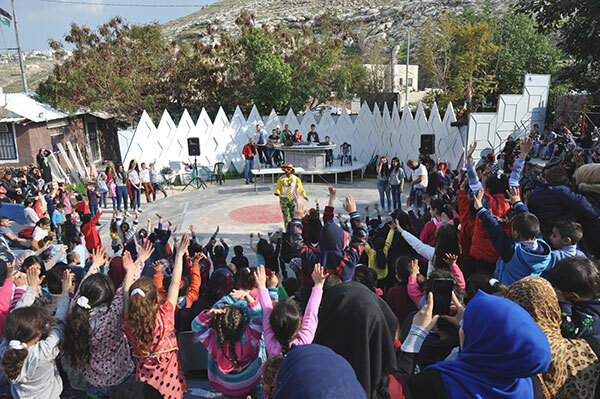 Al Saha always aims to engage and involve local groups to be a part of the space. 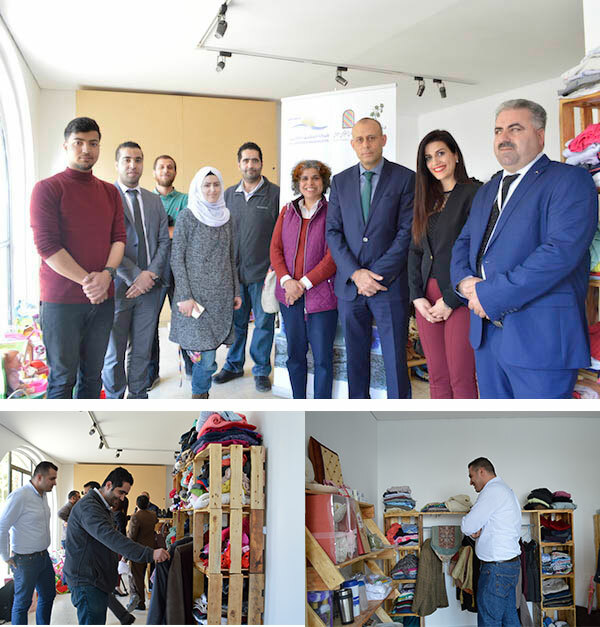 We opened Dukkan, our second hand item initiative, for the third time since its launch in 2016, in partnership with Khalil Sakakini Cultural Center, that provided the space for opening the shop. In its third opening, Dukkan received financial support from Al Mashriq insurance company, as they believe in the important role of civil society organizations in supporting the Palestinian society. 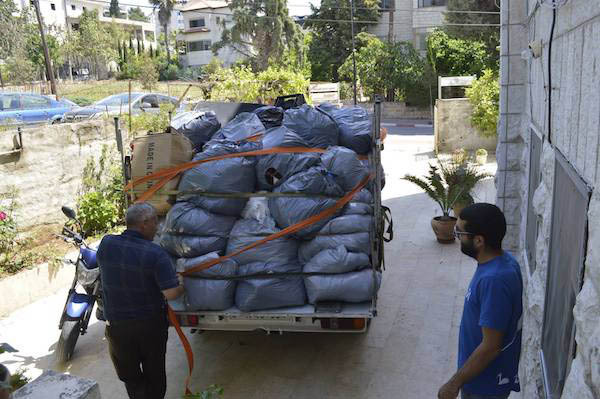 At the end of April, we sent a large shipment to the Dukkan mobile initiative in Jiftlik, in the Jordan Valley, operated by Sanabil Women’s cooperative. Dukkan is Dalia’s effort to make effective use of the resources available in our country, and to decrease waste going to landfills, thus decreasing pollution. The shop also increases access of needed goods at a budget price, so that everyone in our community can purchase what they need. This generates income for the Dalia Association, and increases the number of our community-controlled grants, so that more people in our community can benefit from these grants, therefore decreasing our dependence on external resources. The initiative embodies the concept of community philanthropy; as there are no donors and beneficiaries, rather everyone is a donor. We are happy and proud to announce that we were shortlisted for the Lush Spring prize 2018 and we think it's an important award that solidifies the efforts of organizations like Dalia working on the grassroots level! 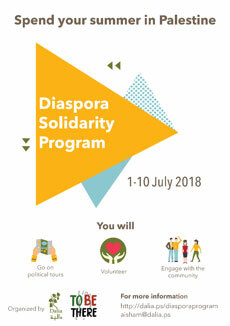 Dalia Association, and To Be There, want you to join our Diaspora Solidarity Volunteer Program! Spend your summer in beautiful Palestine! You will spend 10 days learning about the political reality of Palestinians living under occupation and volunteering in various local communities. If you are interested, contact: Aisha Mansour, Executive Director, Dalia Association at [email protected]. Please help us reach out to Palestinians and friends in solidarity in your country by forwarding this newsletter around your local Palestinian and Solidarity community.